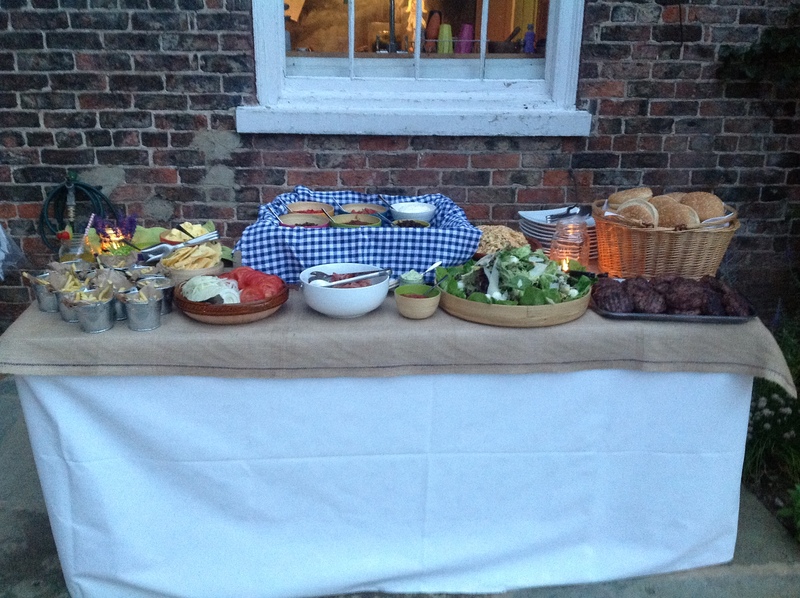 Brief: A rustic summer barbeque with canapé reception in the terraced garden softly lit by candles in Kilner jars. 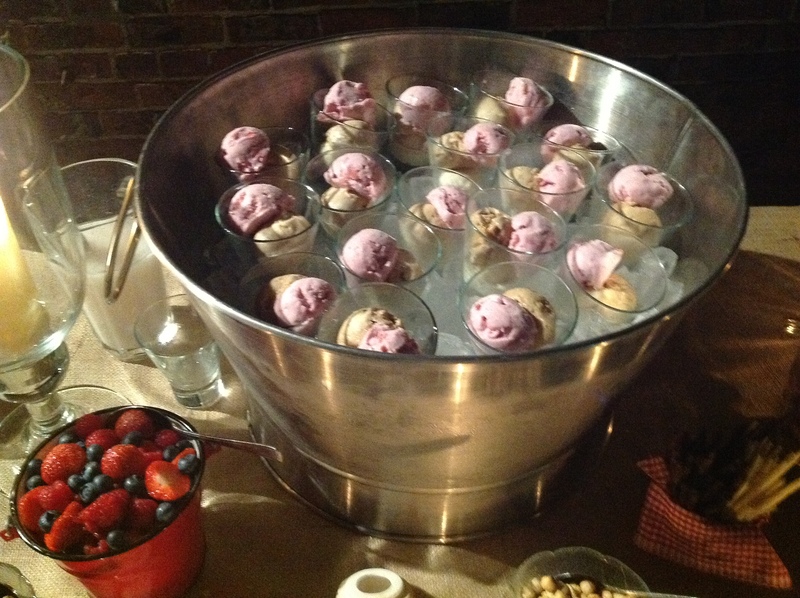 Terracotta earthenware dishes, zinc buckets and bamboo bowls were used to serve the ‘build your own’ burger bar and ice cream sundae station. Elements of the client’s own garden were incorporated into the menu including tempura of courgette flowers. 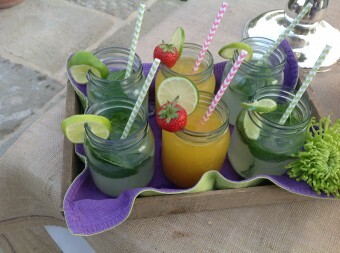 Reception drinks comprising of Mason jars of Mojitos, Passion Babies and homemade Sparkling Elderflower, served with pink and green paper straws and fresh mint from the garden. With a selection of accompaniments including: Amoretti Biscuits, Chopped Nuts, Strawberry Coulis, Chocolate Sauce, Caramel Sauce, Chocolate Curls and Fresh Berries, served in a different jars, jugs and dishes.